Sterling silver, Tanzanite, Blue Opal, and Cubic Zirconia. 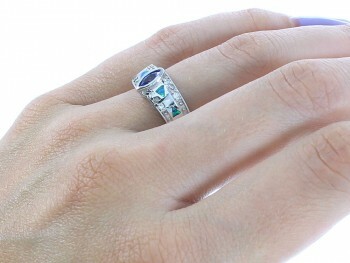 What a beautiful ring! 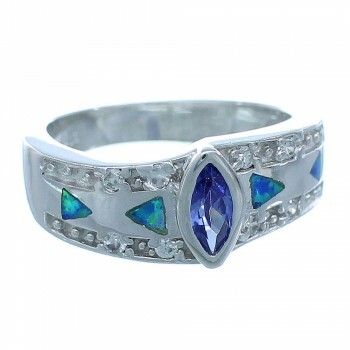 The ring is made out of genuine sterling silver, along with man made Blue Opal inlay, a man made Tanzanite stone, and Cubic Zirconia. 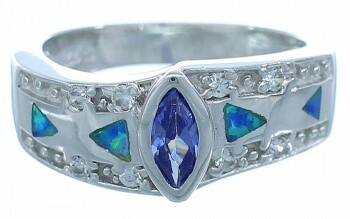 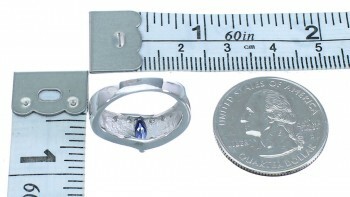 The Tanzanite stone is gently placed in a silver setting, while being accented with a total of EIGHT Cubic Zirconia stones that highlight the inlay. 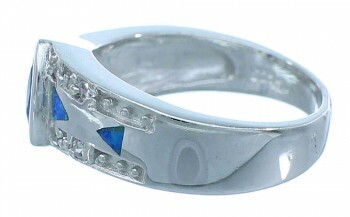 The inlay is carefully set, while forming a stunning design. The ring is stamped .925 (sterling silver).